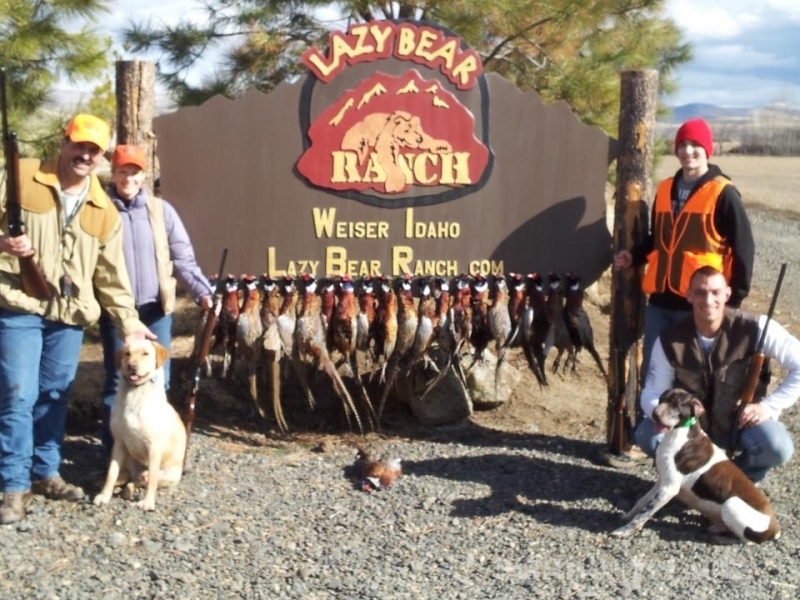 Pheasant hunting is what brought my Dad Jack to Idaho in the early 1960s. He would always tell me about the great Idaho pheasant hunting. The bountiful & thick cover was the best hunting conditions for wild pheasant. Therefore, when creating the Lazy Bear Ranch Shooting Preserve, my goal was to make every client feel like it was opening day of pheasant hunting in 1965. As an All-American football player at UCLA, I was a Bruin, then I became a Super Bowl Champion Chicago Bear. 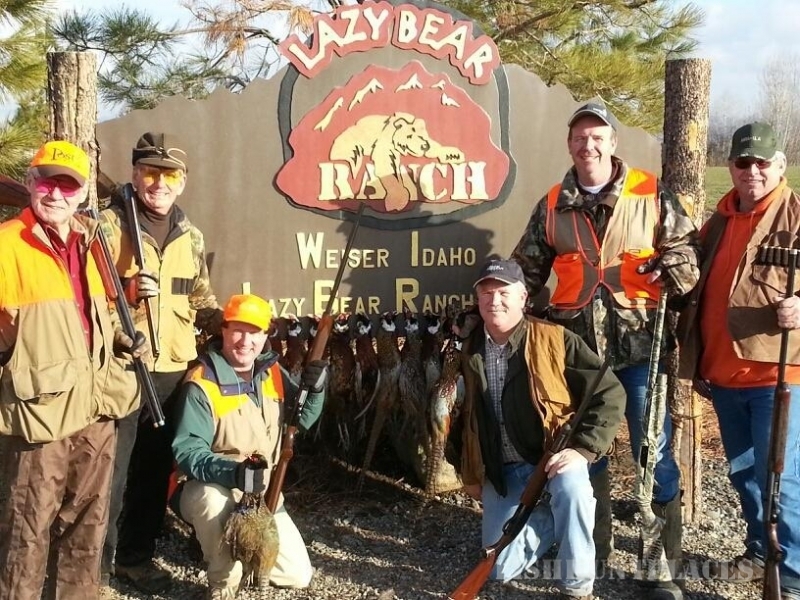 So it’s only fitting that I named my executive pheasant hunting retreat in Weiser, Idaho “The Lazy Bear Ranch.” The 5800 square foot Lazy Bear Lodge has been called the “Ultimate Man Cave” by the Idaho Statesman. You can relax by the waterfall, unwind in front of the TV, enjoy the Jacuzzi or play a game of ping pong or basketball. 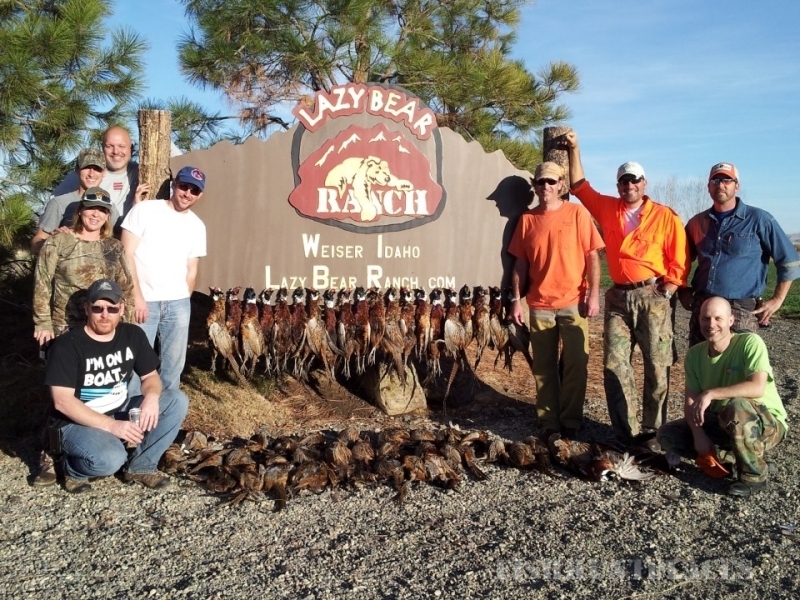 The Lazy Bear Ranch is 190 acres of designed pheasant and quail hunting habitat located five miles East of Weiser on the Weiser River. 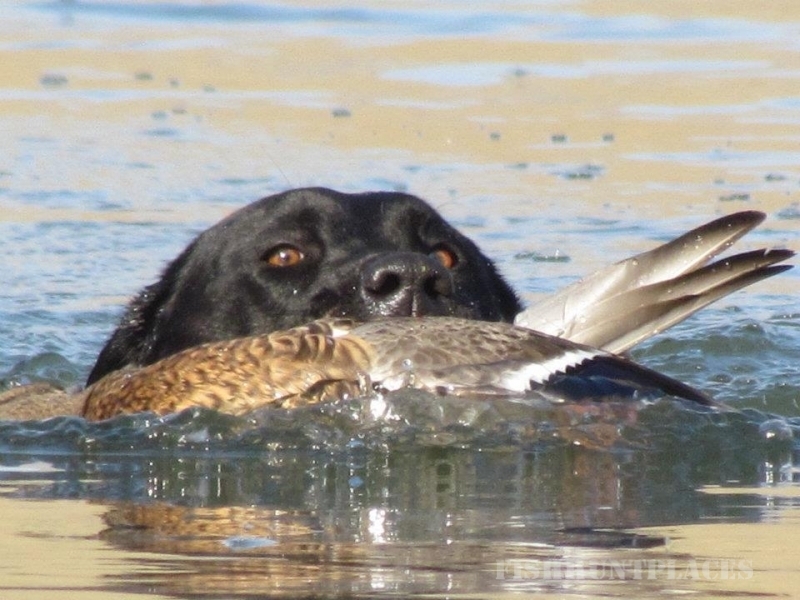 So if you enjoy seeing bird dogs work, the rush and thrill of hard flying pheasant busting out at your feet while eating like a king… then the Lazy Bear Ranch is the destination for you. All the FUN…none of the work! For more on the Ranch’s 5800 square foot lodge and amenities please click here.